• Universities require high budgets to interact with their peers from other regions of the world and exchange knowledge and experiences. In Bolivia, few have this type of international agreements. One of the problems identified by the professional has to do with the programs of specialization, masters and doctorate, where the biggest problem lies in the student, who must pay for these studies and in most cases can not self-finance. In this regard, he said that it should be the Government that finances this type of training and research, that provide solutions and answers to problems and needs in Bolivia. According to the World Bank, inequality in education is another problem, reparable, that is costing the world billions. Álvarez pointed out that if a student finishes his studies, it is because he wants to excel, and seeks recognition for his effort and knowledge. Therefore, the fundamental motivation must be economic and must be accompanied by constant training. 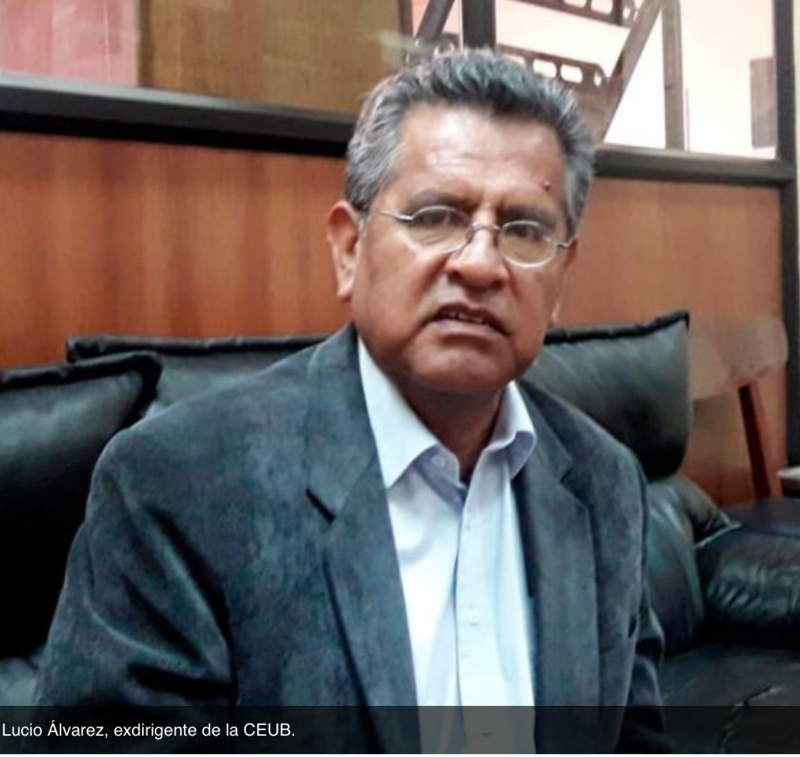 “If there are no job opportunities, there is not a good salary, what happens now (happens) in the country, a brain drain that migrates from Bolivia in search of better opportunities, which is a serious hemorrhage, because great professionals are lost,” he said. Álvarez said that in education in general there is a lack of commitment from students as well as from teachers. He assured that educators should be constantly trained, and on a par with technology, to respond to the media that students use, until there is no connection so that both can get along properly. He said that another problem at the level of higher education is infrastructure. Every year there should be a prospection of projects, in addition to research development. As universities they should generate their own knowledge, their own development in science and technology and in this way achieve the sovereignty of knowledge. Questioned: How much research is being generated in our environment and how many are being published?. 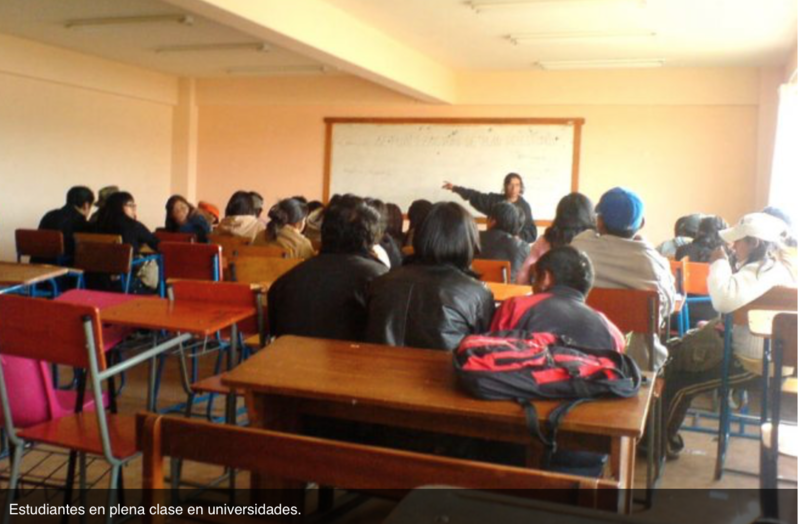 He affirmed that the scope of research in Bolivian universities is far below the Latin American scope, in the number of research publications. The interviewee argues that a failure is found in full development with foreign universities, to develop knowledge, but for this a greater budget is needed and advance in studies of science; and that it interests the State. The scarce educational opportunities of girls and the obstacles that prevent them from completing 12 years of education cause countries to lose productivity and income throughout their lives, which range between $15 and $30 billion dollars, according to a new report that the World Bank announced in advance of July 12. Education is an important driver of development, as well as one of the most effective instruments to reduce poverty and improve health, and achieve gender equality, peace and stability. This entry was posted in Bolivia, Business, Economics, Social Unrest and tagged competitiveness, government failures, public policy failures. Bookmark the permalink.